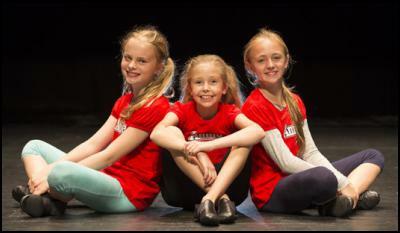 Six hundred and thirty girls from throughout New Zealand auditioned to be Annie in a touring production from the UK. Three of them have been named to share the leading role – Amelia Walshe, 11, and Ilena Shadbolt, 12, both of Wellington, and Zoe Fifield, 13 of Auckland. The three will alternate the role for seasons in Wellington (from Tuesday 23 May) and Auckland (from Friday 13 June). A further 48 girls have been chosen to play the roles of orphans. They will be divided into two 24-strong troupes – one for the Wellington season and the other for the Auckland season. These troupes represent Wellington, Auckland, Christchurch, New Plymouth, Hamilton, and Tauranga. Rehearsals will start this week under the direction of UK-based choreographer and associate director Jonny Bowles. The girls join an international cast that includes Hi De Hi!’s Su Pollard and David McAlister, a veteran of the West End stage and TV dramas. While the girls get cracking with rehearsals in New Zealand, principal cast – also including MiG Ayesa (Rock Star: INXS, We Will Rock You), Frazer Hines (Emmerdale, Dr Who), Sue Hodge (‘Allo ‘Allo) and John D Collins (‘Allo ‘Allo) – will rehearse their roles simultaneously on the other side of the world until the full cast unites in New Zealand in May. From its Broadway beginnings to the classic film musical, the heart-warming rags-to-riches story of plucky young Annie’s journey from the hard-knock New York orphanage to the luxurious home of billionaire businessman Oliver Warbucks, is a tale that has been told all over the world for decades. The toe-tapping score for ANNIE features some of the best-known songs in musical theatre, including “Maybe,” “It’s the Hard Knock Life,” “You’re Never Fully Dressed Without a Smile,” “Easy Street,” “I Don’t Need Anything But You” and the eternal anthem of optimism, “Tomorrow”. More than 50 million people of all ages have been delighted by three Broadway runs of ANNIE, two Australian tours, two West End stints, five National US companies, two hit movies (1982 and 1999) with a third due for release in December, and dozens of international productions, playing seasons all over the world. This UK production of ANNIE has been seen by over 3 million people during its tour to every major city in Great Britain, and last year played sell-out seasons in Hong Kong and Singapore. Inspired by Harold Gray’s famous comic strip Little Orphan Annie which first ran in the New York News in 1924, ANNIE is set in Depression Era New York City at a time when the economy looked bleak, government seemed ineffective and the average citizen was desperate and frustrated. With its hopeful message and unwavering belief in a better tomorrow, ANNIE made its Broadway debut in April 1977 and played 2377 performances before closing in 1983. The show won seven Tony Awards, including Best Musical, Best Book (Thomas Meehan), Best Original Score (music by Charles Strouse and lyrics by Martin Charnin), and Best Choreography. Now, 37 years after its Broadway debut, the timeless tale of Little Orphan Annie will be coming to New Zealand, giving a whole new generation the chance to experience a classic musical about never giving up hope. ANNIE is a delightful theatrical experience for any age.